Airbnb is one of those facilities that has a lot of pro’s and con’s attached to it. People who rent out their places have registered several complaints regarding visitors trashing their place and not maintaining hygiene levels. On the other hand, it is a great way to find really cheap accommodation when you are traveling to other countries on a shoe-string budget. The best feature that has surfaced regarding the app is the option of staying in highly unorthodox places that you wouldn’t normally consider. Here is a list of 10 amazing places you can stay at if you decide to use Airbnb. Conroy’s old bar is an institute in Ireland. 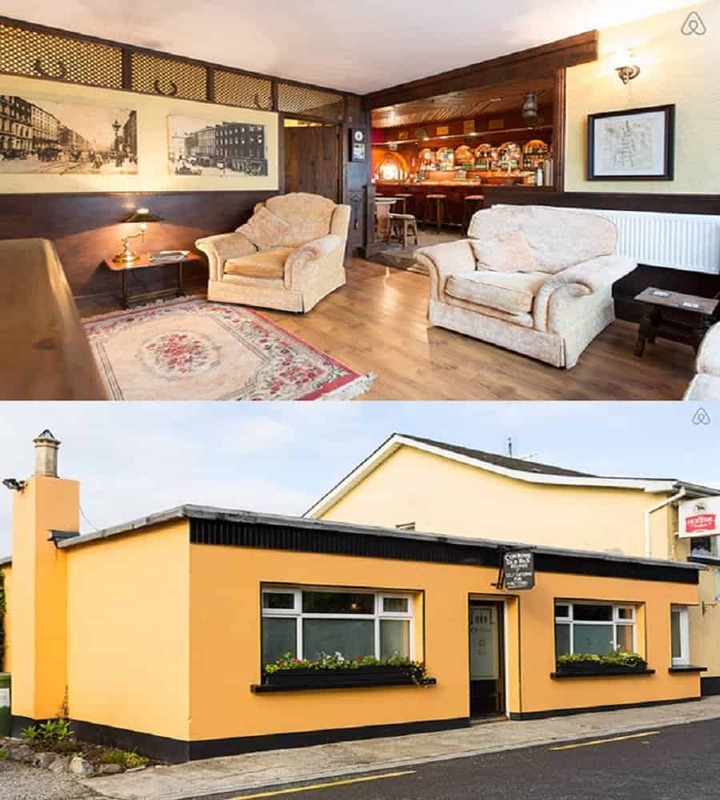 This was the world’s first self catering Pub, and although it isn’t open any more, you can actually stay at the pub for 128$ a night. 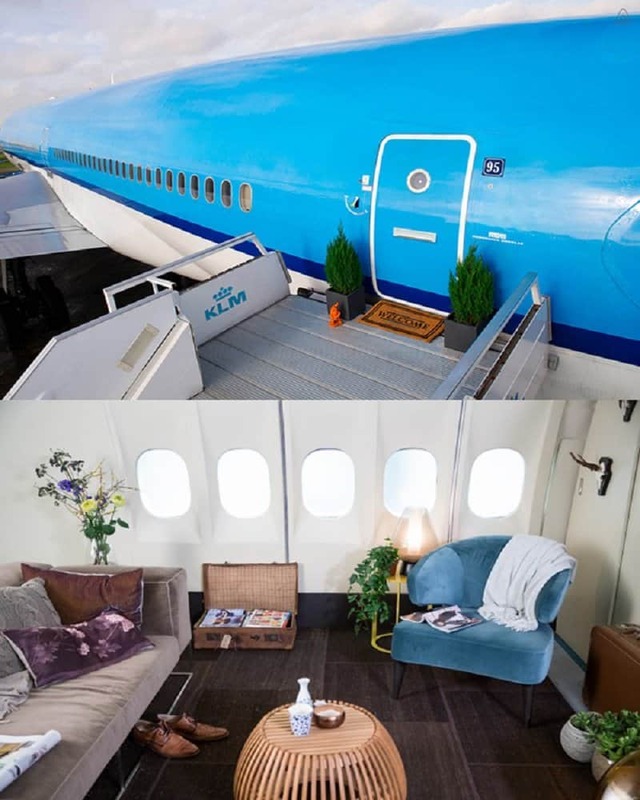 Airbnb and Dutch Airline KLM have created a unique accommodation that is located inside an aircraft carrier. The KLM MD-11 is a wide body jet that is equipped with two bedrooms. This was a part of promotion that the two companies created and was available during November 2014. Thanks to the popularity of this event, there will be more opportunities to sleep in a jet in the near future. Renting an island seems like one of those things only Scrooge McDuck or Richie Rich can do, but this is also a possibility thanks to Airbnb. 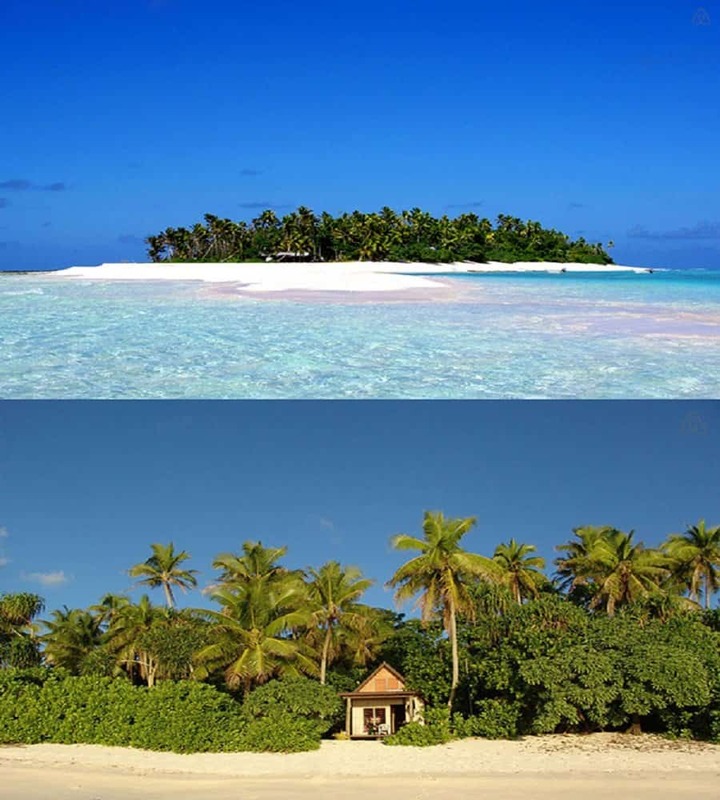 You can actually rent out the island of Nanuku Levu in Fiji for the amazing price of $500 a night. A church wouldn’t normally be your first choice as a place of shelter unless you are trying to hide from the forces of evil. A 200-year-old church called Bookeen Hall might change your mind in that area, though. 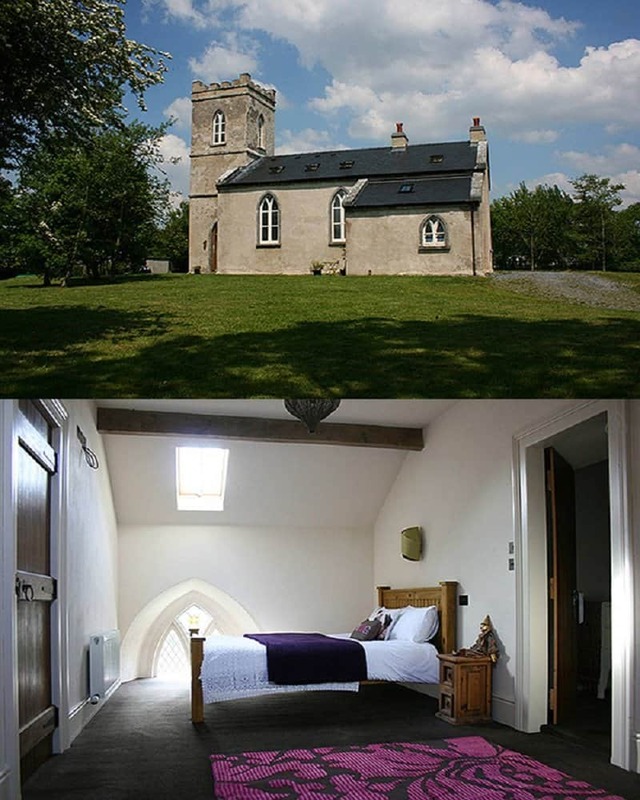 The church belonged to the Church of Ireland congregation, and has now been converted into a two-bedroom home that you can book using Airbnb. This amazing residence is available in the Agoura Hills near Los Angeles. 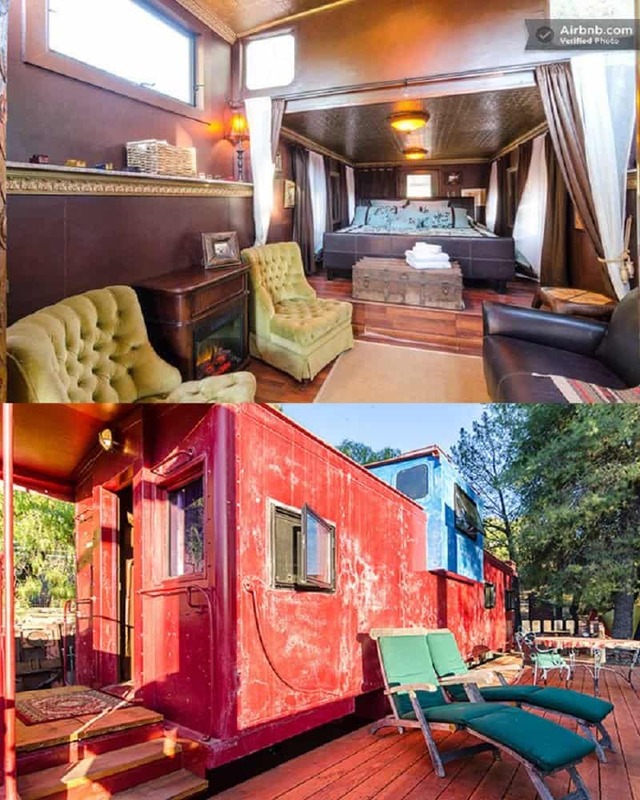 What was once a shelter for train crew has now been transformed into an amazing place of residence for travelers, all for the cost of $245 a night. Although Tipis might seem a bit rural at first, they are actually quite charming and comfortable, and will take you straight back to the olden days. 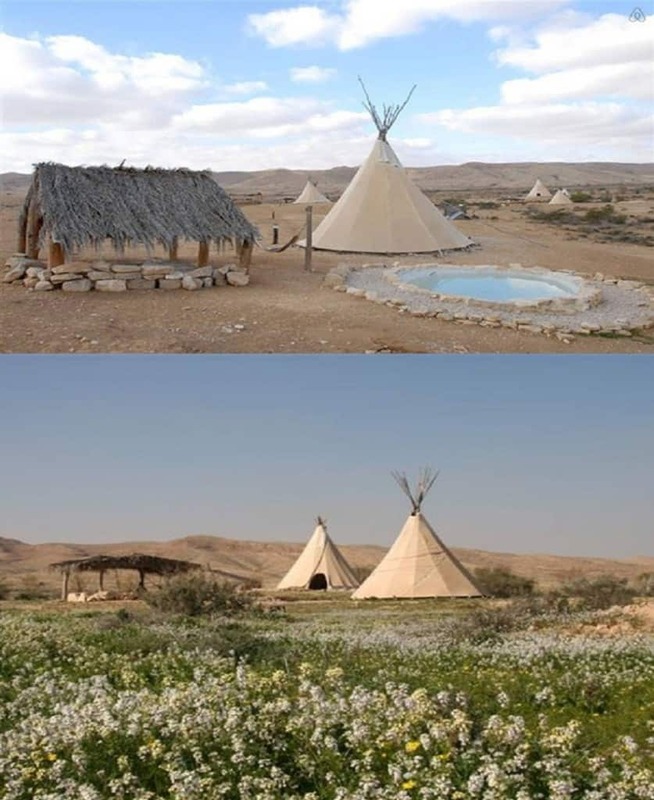 If you ever visit Israel and you are in the Meitar region, make sure you use Airbnb to make a reservation in “The Wine Road” farm, and stay in a Tipi. This strange and fascinating house is a popular type of architecture in Netherlands. 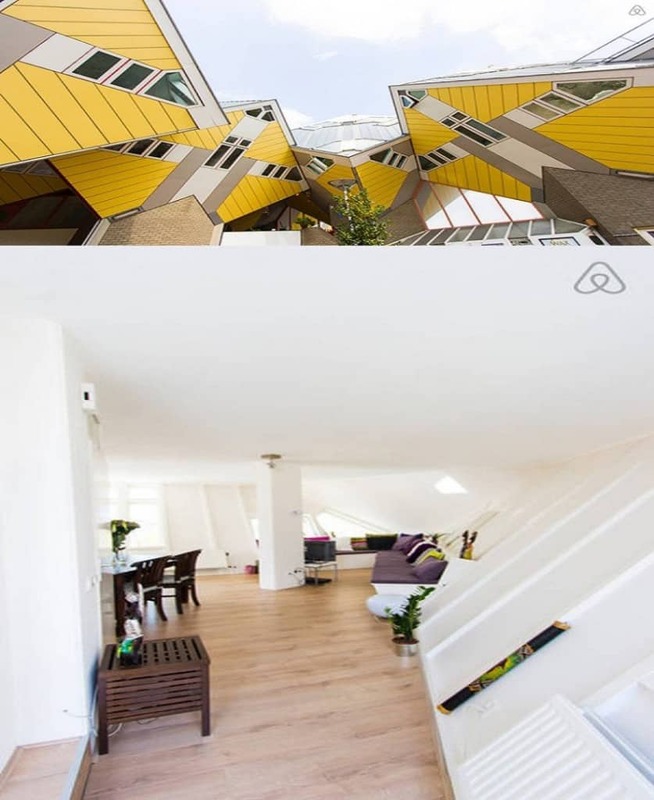 You can actually stay in a cube house built by architect Piet Blom if you visit Rotterdam and decide to make your bookings using Airbnb. Most people would never even dream of spending a night in an Igloo, but this is now a possibility thanks to Airbnb. 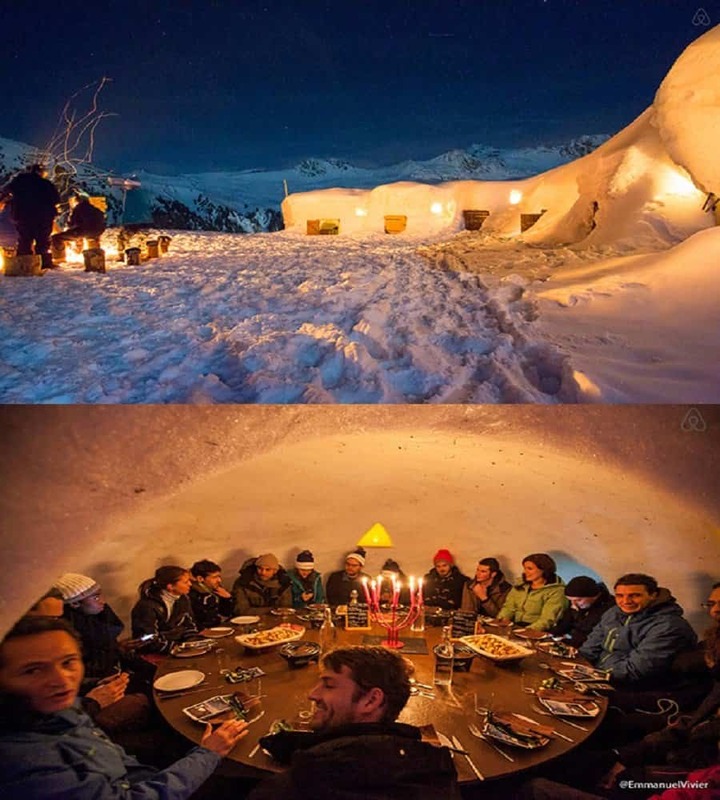 If you ever visit Tarentaise, France, make sure you book yourself a room in the Igloo Village. This unique experience could be yours for the low cost of $154 per night. You probably never thought you would ever spend a night in school unless you were serving out the world’s longest detention, but even this is an option you can consider if you visit Netherlands. 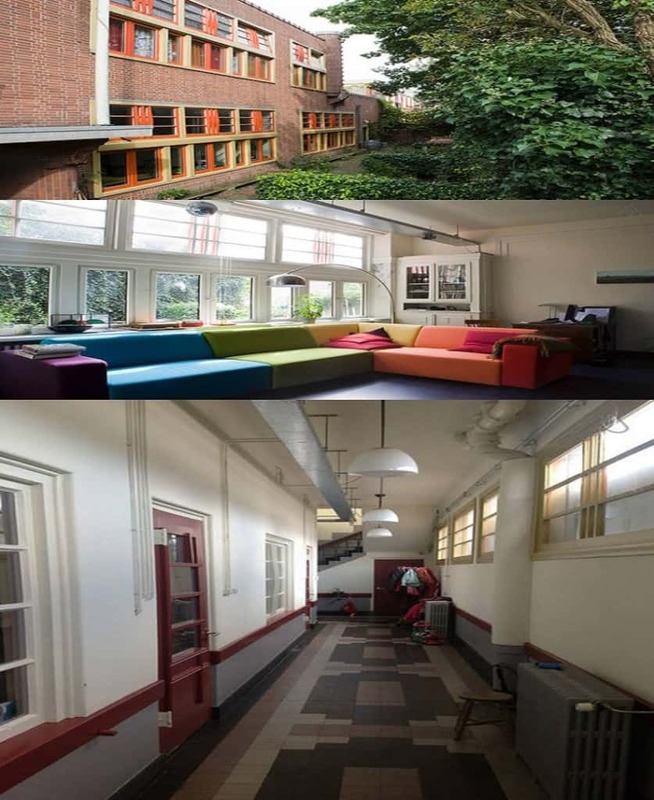 A school has been converted into a family home in Groningen, Netherlands, and you can rent the space out for just $147 a night. This unique space can be found on the Isla Mujeres in Mexico and is available for rent at just $225 a night. 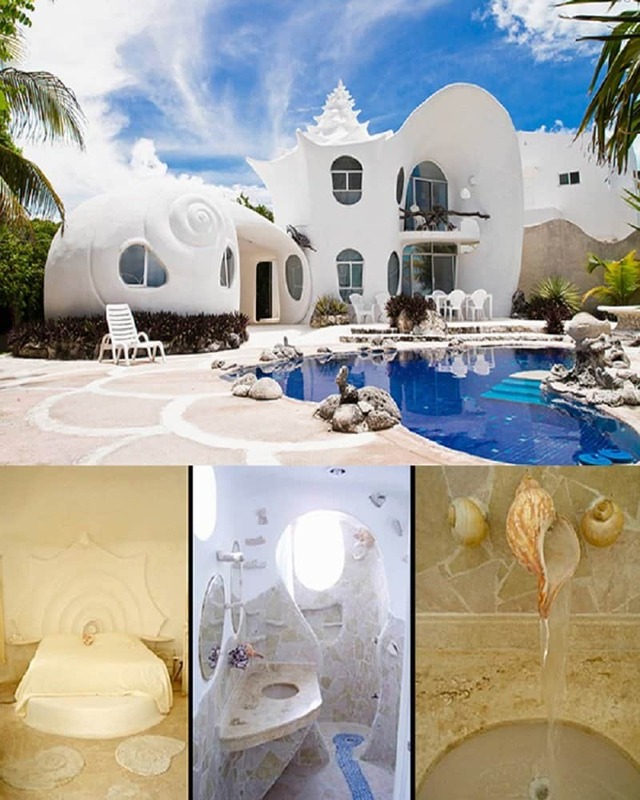 This seashell inspired home was created by architect Eduardo Ocampo and his wife Raquel and features many unique elements, such as a sunken living space on the ground floor and a baby shell next to the main house.